Day 2 of the Winter Outdoor Retailer Show is in the books. I spent the day meeting with companies and trying to get the hang of the Denver Convention Center. 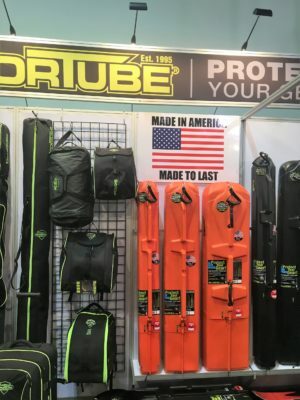 Check out my thoughts on GSIOutdoors, Helle, Sportube and more by clicking HERE. While knife enthusiasts will immediately spot the ideal knife for each job, it may be difficult to do so if you’re just starting out. Not all knives are created equal and a blade that is perfect for one situation may not work as well when used for other purposes. Pocket, hunting and survival knives all have different specifications and purposes. Now, there are those who are knife elitists: the world of cutlery is so vast and enchanting that it’s a pity to have a one-blade-fits-all approach. So let’s take a closer look at which blade is best used in which situation. The key to a good hunting knife is versatility. Of course, everything depends on the intended prey. Large game hunters will seek bigger knives while rabbit hunters will not. You’ll have to decide on the type of handles that you’d like the knife to have, whether it should have a fixed blade or folders and whether it should have a full tang design (a full tang means that the steel of the blade reaches back to the knife’s handle in one piece). 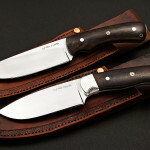 Now, there are specific knives that a hunter may prefer depending on personal preference. If you’re looking for a quick field skinner, take the time to find a blade that cleanly opens up an animal. Choose a sharp spear point that can quickly slice into hide. If deer is more your game, consider a sharper, shorter blade that’s capable of getting into every nook and cranny (even that really hard-to-get spot behind the knee). For duck and geese, consider a spear point, flexible blade that isn’t as wire, so that you can easily separate breast meat from the breastbone. Fishing enthusiasts need to invest in a high-quality fillet knife that is flexible, thin and has a good grip. The key, though, is that the knife needs to be extremely sharp. You can search for knives that come with integrated sharpeners to solve this issue. There’s no such thing as a wilderness escapade without a survival knife. There’s no tool that’s more important. Again, you’ll have to think about the design of the knife, the length of the blade, the handle and whether you want to go for a fixed blade or a folding knife. When choosing a survival knife remember that you’ll be dealing with a multitude of situation, from food preparation and cutting to splitting, self-defense, prying, signaling, hammering and many others. 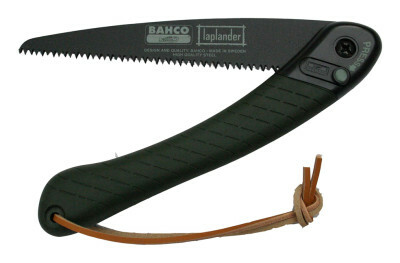 You can go for an inexpensive camp kitchen knife that is sharp and has a fixed blade. 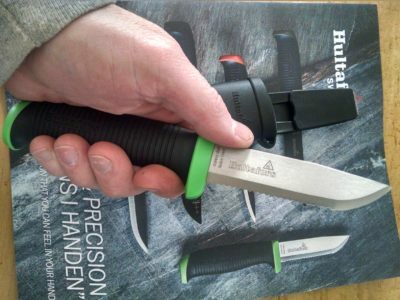 It’s a perfect multi-purpose tool that will slice and dice, fillet and field dress (though, as previously mentioned, you should truly have a dedicated blade for field dressing and skinning). 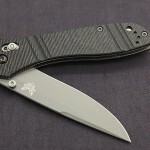 If you must own a folding knife, it’s recommended to choose a blade that will be capable of cutting through anything. 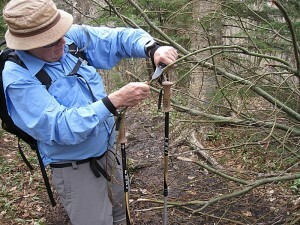 There’s a multitude of folding saws that cut through plants, rope, bone, and even branches. You’ll have to be very careful to choose a blade that has teeth that are meant to cut both ways and are coated so as to minimize friction. Pocket knives are perfect in the sense that even the least handy person can still find countless ways of using them. While discussing the many reasons why you should carry a pocket knife isn’t the subject of this discussion, keep in mid that pocket knives are multi-purpose tools and they come in handy. The only question is how to choose the perfect one? Pocket knives can be used for everyday carry, for everyday carry and backcountry usage, for everyday carry and house handiwork and for everyday carry and hunting or fishing. 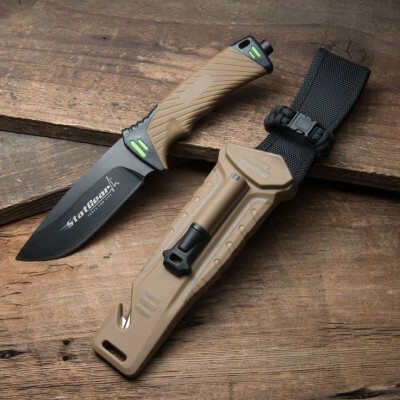 Again, knife enthusiasts will argue this point fiercely and while their argument holds merit, there are some who simply wish to find a great blade that can be versatile enough to be used in any situation. When you want to purchase a knife for everyday use, it’s recommendable to seek one that is less-than-full-size and features a round-handled folder. For backcountry purposes, seek a blade that’s compact enough to be carried on hikes but robust enough for everyday usage. It’s always advisable to consult reviews and choose the blade that works best for your purposes. By kindergarten, I was using a hatchet and carrying a knife, but by the time I was in high school I had stopped carrying my knife. When I started carrying the 950BK, in no time I was using the knife in ways I had not expected. To read more.